The oft-asked question once a business starts to generate some cash is, ?How do I pay myself?? Solo entrepreneurs most often operate as sole proprietorships. This means that for liability and tax reporting purposes, the owner and the business are the same. This leads to a confusing situation when the owner wants to take money from the business. In accounting jargon, the income that the owner of a sole proprietorship receives from the business is called an ?owner?s draw.? ?The confusion arises when the owner records the payment to himself (the ?owner?s draw?) in the financial records. The common error is to list the payment as an everyday expense, just as one would for the purchase of a computer or newspaper subscription. After all, wages paid to employees are business expenses and are tax-deductible. However, the owner of a sole proprietorship is not an employee. Therefore, any income he or she receives is not tax-deductible. Recording an owner?s draw as an expense results in understating income for tax planning purposes. In other words, if you inaccurately categorize the payments to yourself as tax-deductible items, then you?ll be misled into thinking that your taxable income is less than it really is. Ultimately, you?ll end up owing more taxes than you originally, but inaccurately, expected. This happened to a client of a colleague. 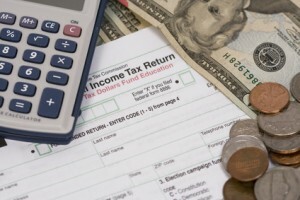 The client ended up owing an additional $15,000 in income taxes! What does all this mean to you? Don?t treat your draws as a deductible expense. If you use a formal accounting program, set up an owner?s draw account in the Owner?s Equity section and post monies taken out of your business bank account for personal reasons to the draw account. If you use an Excel spreadsheet, don?t put draws in the expense category. Create a non-deductible section and place draws after the calculation of net profit. Properly categorizing your draws gives you a more accurate understanding of how well your business is doing and prevents unwelcome surprises at tax time. Doing so also boosts your confidence in your understanding of important business money principles. Frequently, improved financial confidence spills over into greater confidence and motivation to grow your business and make it more profitable. There is another benefit to understanding the status of owner draws: you will show your banker you have financial acumen and that you are a thoughtful business owner approaching business finances in a responsible manner. Bankers form opinions from your actions and expressed knowledge of business. They don?t lend large sums to business people who don?t understand their financial situation. If you have any questions about how to record your draws, ask your tax preparer to confirm your understanding and, most importantly, to verify that you are recording your owner?s draws appropriately. You?ll gain the benefits of greater financial confidence, less stress, better planning, and you will join the ranks of responsible business owners.